Precision manufacturing technology and the best-educated and best-trained employees are the foundation of LOMA’s strong reputation. Because of the depth of our manufacturing expertise, our short throughput times, and flexibility in every respect, we are able to offer a broad spectrum of parts and the highest quality – from under one roof. We look forward to your inquiry. Our modern production facility offers an array of technologies for the machining of small, medium and large series. From large quantity simple orders to challenging and highly complex precision requirements - turning, milling, grinding, stamping, barrel finishing, and reaming - we do it all. Using rotary indexing machines, automated lathes and automated milling machines, LOMA is able to further process molded parts, blanks, and cold pressed parts. Processing options include contour turning, drilling, thread cutting and milling. On- and off-loading is done with robots. Measurement steps and deburring can be integrated into the process. All under one roof – LOMA offers complete component assembly to make things easier for you. Whether it’s for small or medium series, we offer a range of assembly options. Click here for more information. LOMA offers a range of heat treatment options through certified suppliers. The following services are available: vacuum hardening, induction hardening, case hardening, annealing, and nitriding. LOMA offers a range of surface treatment options through certified suppliers. The following services are available: sandblasting, glass bead blasting, electrolytic polishing, anodization, passivation, galvanization, nickel plating, gold plating, chrome plating, phosphating, burnishing, catophoretic/KTL painting, and powder coating. Approximately 20 CNC long part lathes, some with up to ten axles, are at the ready at LOMA. Raw material with a diameter of 3 mm up to 32 mm can be worked. With the help of special precast claws a piece with a maximum length of 560 mm and a diameter of 26 mm can be worked. Using more than 25 CNC short lathes with up to eight axes, LOMA produces parts with diameters from three to a maximum of 65 millimeters. In addition, using CNC short lathes with a supplemental milling unit (B axis), we can produce highly complex, highly precise work pieces. 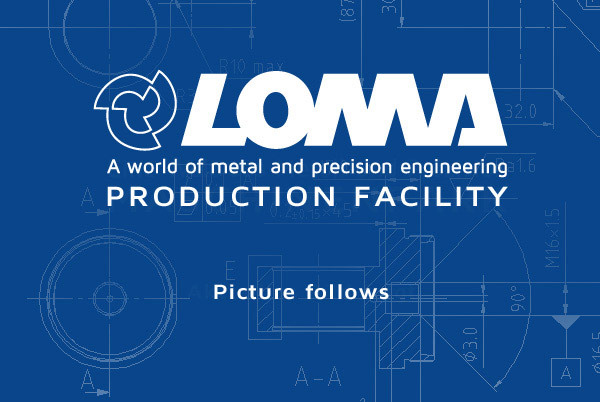 LOMA’s CNC multi-spindle lathes round out the production opportunities with diameters up to 32 millimeters with higher quantities (volume production). 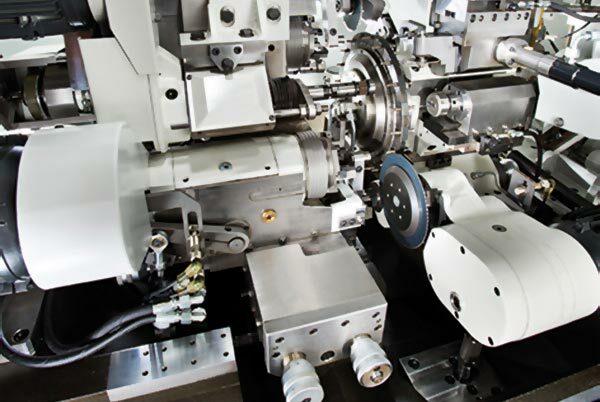 The backbone of volume production is the mechanically-controlled cam-type machine. 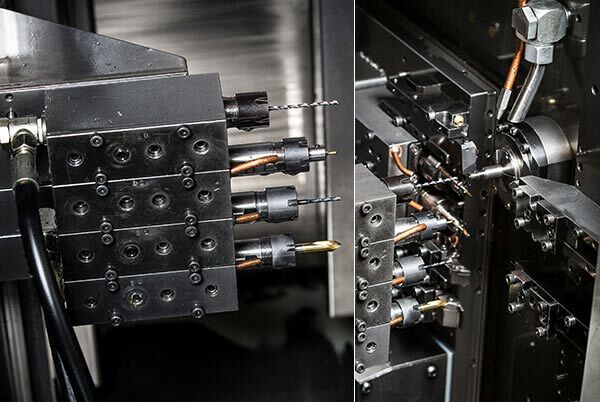 For manufacturing simple, less complex turned parts, cam-type machines remain the machine of choice. 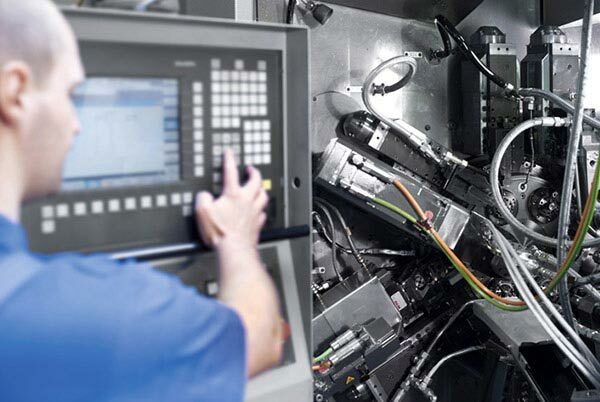 Our location in Poland boasts a large number of cam-type machines, ready to produce your order. Do you require sample parts or a highly precise small series? LOMA can help. Our CNC cycle lathe with power driven tools serves this purpose. Contact us. For the production of large series with complex geometrics, LOMA uses rotary transfer machines. Using these machines, LOMA is able to produce parts from the ring as well as further process blanks and cold-pressed parts. 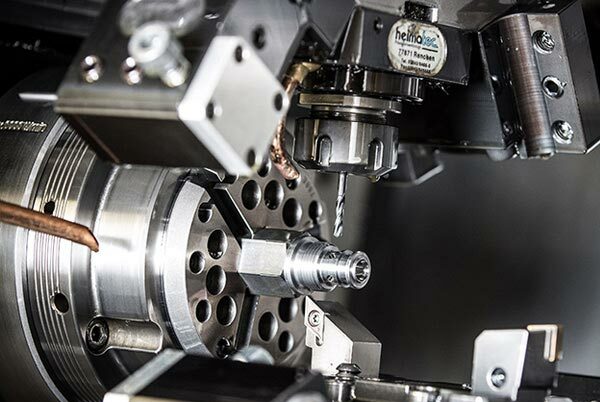 Our machining centers with up to five axes can deliver the most complex processing with the highest degree of precision. In addition, our CNC milling machines are equipped with robotics and palette systems for loading and unloading. 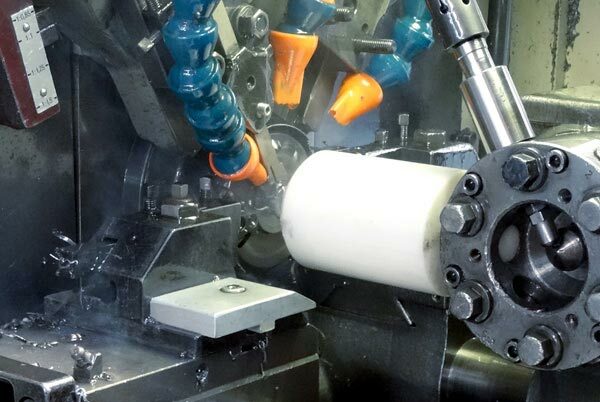 Using external cylindrical grinding machines and centerless grinding machines in in-feed and through-feed processes we grind highly precise parts to 1/1000 of a millimeter. Additional processes include flat grinding and honing. Using our laser writing equipment, LOMA can engrave parts along the circumference as well as on flat surfaces with the customer’s logo, text or barcode. LOMA’s eccentric presses increase the breadth of our manufacturing process to include reshaping, stamping/die cutting, and bending. LOMA’s thread rolling machines are used to produce specialty threads. Our broadly-equipped production facility enables us to offer custom solutions, from small series to large lot production, and from simple turned parts to high precision component assemblies. 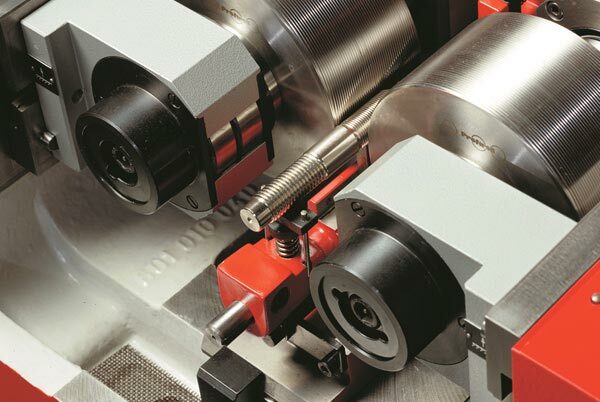 Our facility includes CNC-controlled clamping units as well as conventional lathes. It bears repeating: LOMA’s backbone are our highly trained and motivated employees. Contact us. We look forward to your inquiry. 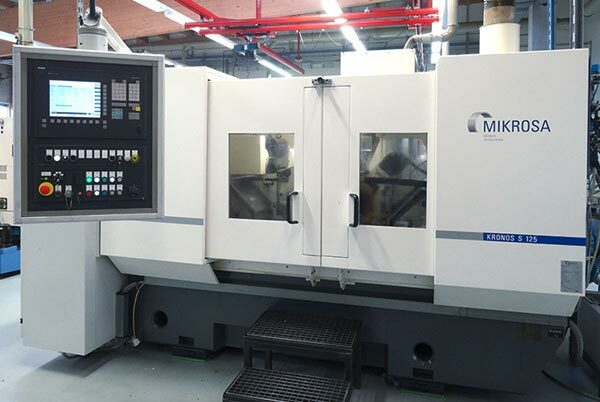 With over 50 multi-axle CNC lathes we produce complex turned parts in small, medium and large series. 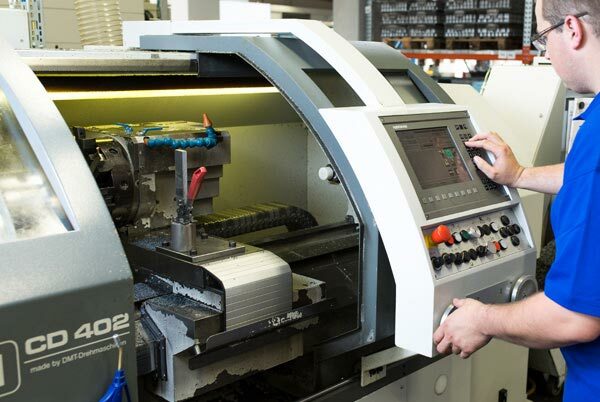 Our in-house tool production capability enables LOMA to offer one-of-a-kind and sample parts. Our large number of production machines ensures our flexibility – and your confidence. Click on each photo for additional information. Our fabrication center is impressive for its efficiency, precision and flexibility. 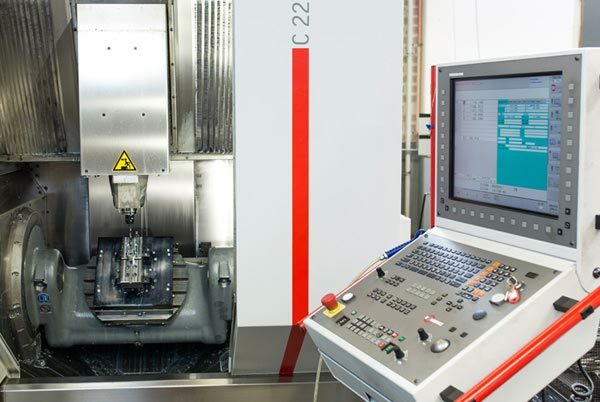 With up to five axles the most complex machining with the highest precision can be carried out. In addition, our CNC milling machines are equipped for loading and unloading with robots or with palette systems. Measuring and deburring can be incorporated into the production process. Precision is our standard, and meeting small tolerances is our day-to-day business. We offer a wide range of grinding production options to meet your needs. Our experience in grinding technology gives you three significant advantages: you can dispense with third-party post-processing, you get shorter production and delivery times, and you get high-value quality from a single provider. Our manufacturing facility in Poland handles the production of less complex turned parts in large batches. 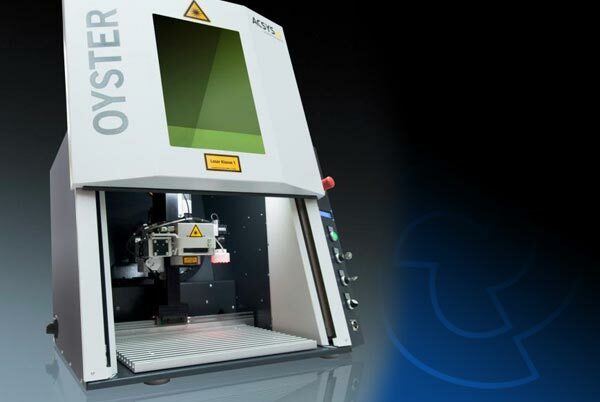 The turning process is controlled completely with the aid of an optical measuring machine. The quality standard is the same as that in our headquarters in Koenigsheim, Germany. LOMA Contact. What can we do for you? We’re happy to email you informational PDFs about our measuring instruments and machines. PDFs are currently available only in German.